This Sweet Orange EK example is not the same group who uses jquery_datepicker redirects and sends Qbot malware. Today's malvertizing-style infection chain usually point to Nuclear EK, so I was surprised to see Sweet Orange EK appear. 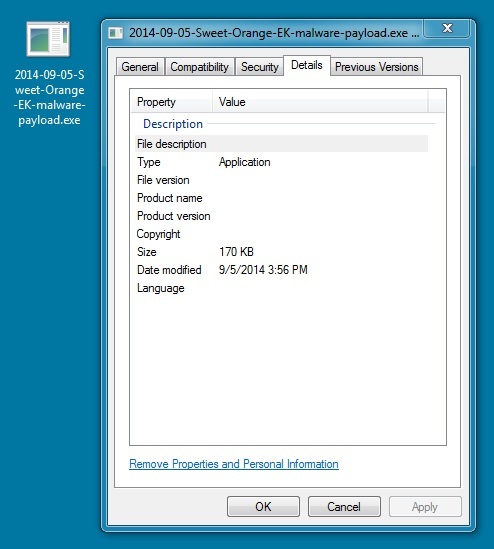 The malware payload is a Zemot downloader that called for Rerdom.